Leland selected Templeton associate principal - Hamilton School District. 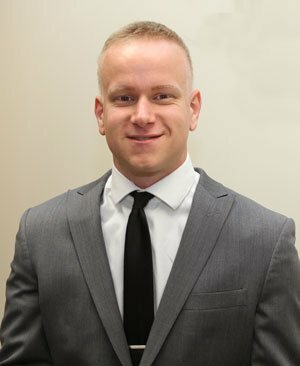 The Hamilton School Board approved the selection of Cody Leland as the new Templeton Middle School associate principal at it May 21 meeting. Leland officially begins his new position July 1. Since 2012, Leland has taught social studies, history, science and technology to Richmond School students in grades 6-8. He also held positions of athletic-activities director, summer school principal and wellness coordinator while at Richmond School. He earned his master’s degree in educational leadership in 2016 from Viterbo University and his bachelor’s degree in education in 2011 from the University of Wisconsin – LaCrosse. Hamilton Superintendent Paul Mielke, Ph.D., said Leland would serve Templeton students and families well.